A BEMER rep from the US has answered to my investigative piece about the mysterious “Institute for Microcirculation”. Leaving a VIP.bemergroup link, she used 3 popular deception techniques: The straw man attack, a conspiracy theory, and fogging (aka Chewbacca defense). If not self-evident, read my comments below. Markers added. There’s also some historic background related to East Germany which may be totally unknown to american readers, at least. 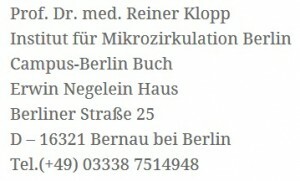 According to this bio I found online–Dr Klopp is currently 75 years old, which may be why he is difficult to track currently. I don’t believe there was ever a BEMER institute of Microcirculation-it is not recorded in the history of BEMER international AG, Liechtenstein-but rather Dr Klopp pioneered research in microcirulation and BEMER contacted them for evaluation of their product(s). Dr Klopp was a physician and professor at Humbolt University in Berlin (Charite) holding director and teaching positions of both undergraduates in physics and biophysics, and as a senior physician of the Institute of Cardiovascular Diagnostics and researcher in the medical school. He founded a research institute of microcirculation while at Charite in 1991 and was awarded research monies from the German government as well as other sources. 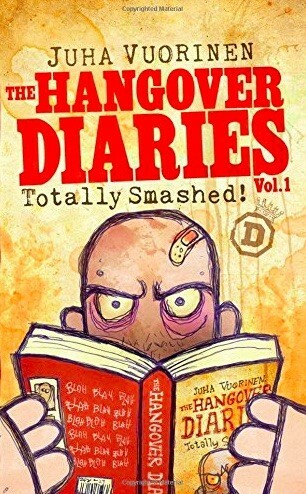 Dr. Klopp is well published in Europe. Average of retirement in Germany is 62 to 65 years old. In 1991, the year his separate institute for microcirculation studies was formed on the campus of Charite, Dr Klopp was 48 yeas old–he is now 75 years old. Dr Klopp worked with the founder of BEMER Intl AG Peter Gleim to study and understand the original BEMER wave signal and provided validation of their product’s impact on the capillary and micro capillary system in the human body . BEMER did not own his Institute of Microcirculation which he founded at Charite University medical center. In the review of published research on pubmed.gov where he is listed as an author over the past 11 years there is no mention of the research being conducted at the Institute of Microcirculation–indicating that it is probably not an active research facility, hence you would not find it on the campus. This is not really a validating factor that it did not exist, and even here in the USA physicians, professors and clinical researchers are often referred to by the last position they held before retirement. They are often consultants that can still be involved in ongoing research. While I appreciate your investigation of the campus attempting to locate the Institute of Microcirculation, a further investigation of an actual interview with Dr Klopp himself, review of current research on BEMER wave signal–such as the USA Dept of Defense research on wound healing presented at the IMIN conference in Florida in Sept 2016, research of the history of the formation of the institution of its original charter, financial contracts, employees, etc which are records of the state university – Humbolt University(Charite) and the government records of Germany would be much more informative of the actual work of Dr Klopp and his founding of the Institute of Microcirculation–rather than chasing addresses and drawing conclusions from that. In the USA many foundations, non-profits etc are formed specifically to financially support the research of work of physicians, clinical researchers etc These entities have university addresses that are fluid and are often decided upon committees of the university and have no real bearing on exactly where research is conducted. As a quick perusal I just did an internet research for a well respected deceased physician researcher–former Assoc Dean of Medicine for Stanford Univ School of Medicine and Head of multiple departments at Stanford, who was recruited to Harvard University with a significantly higher research dollar budget–neither of his research centers laboratories are even named in his bio–yet they took in 100’s of millions of dollars in funding. There is no current record of their addresses that you would find if you tried to locate them in the manner of which you did your research on an institute of microcirculation associated with Dr Klopp, and a never in existence “BEMER” institute of microcirculation. 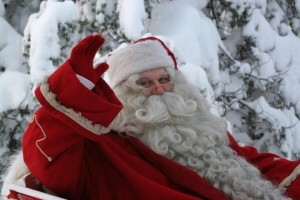 I would also recommend a search of who owns the English website of Institute of Microcirculation should be investigated(where you obtained a current address from)–the style of English content does not appear to be written by Dr Klopp himself as it does not match his other writings I have read–English translations originally written in German. I am a skeptic, open skeptic, with a history of university and hospital administration, USA Natl Institute of Health clinical studies site coordinator, and have supported clinical research at Univ of Calif San Francisco and Stanford Univ. I also have experience as a research analyst for high tech and biotech startups and expansions being evaluated for venture capital and other sources of funding. I recently traveled to Liechtenstein to BEMER Intl AG headquarters and met much of their staff as well as members of the founding Gleim family. I also before going to visit their headquarters, I read ( having had translated for me by a native German speaker and research scientist) 10 peer reviewed studies on the BEMER wave signal, as well as video conference attended the most recent IMIN conference 2016 in Florida, and have read some of the transcripts on current research and case histories presented by physicians at a conference of approximately 400 medical doctors at a medical research conference on BEMER wave signal in Europe fall 2017. After thorough research, and personal testing of the BEMER Pro device, I decided to become a BEMER independent distributor. I do not speak on behalf of the company, but from my own personal point of view. “BEMER” is the name of the method. It’s the same as calling an institute known for yoga yoga institute or an institute that developed SEMTEX the Semtex institute. Note the quotation marks. This is an classic example of a straw man fallacy: Constructing a fault which isn’t there to “disprove” it. I found it always fascinating, how proponents of “Alternative medicine” are refusing to acknowledge obvious facts, and rather create or maintain conspiracy theories. An impressive example can be seen above: The flimsy website of the fake institute is too shameful for the glorious BEMER group propaganda, so it must be owned by some sinister force. 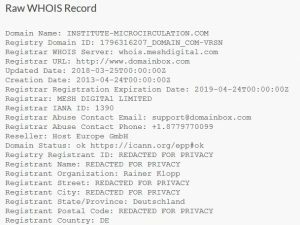 The WHOIS service is now heavily redacted – thanks to GDPR-, but the rest of the entry for Klopp’s “institute” still shows his name. Searching for the “institute” on Google meanwhile brings up Klopp’s apartment as its location – just as I found out on the spot. The rest of the comment contains mainly irrelevant listing of great but unrelated things, names, money, institutions and titles, meant to distract from the bizarre reality. The whole comment is of a quality that demands a reframing. The following may not be easy to understand for westeners or the younger generation. However, things were as they were. In the 1990s, I studied medicine at the Charité/Humboldt University in Berlin. I’m from East Germany, just like Dr. Klopp. We lived in the so-called German Democratic Republic (GDR) for longer than we did in unified Germany (in my case, because I’m in self-imposed exile since the 2000s). In 1992/93 I worked less than 200 metres away from were the “Institute for Microcirculation” claims to have been. My father is from the very same area in the North-East of Berlin, and I know places, people and conditions since my childhood. 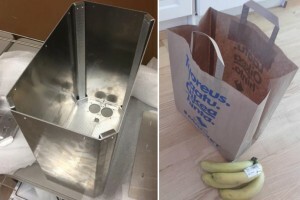 Hence my motivation to check this out – I found it interesting and knew it’s feasible. In the GDR, high positions in university departments were not for the outstanding scientists. Professors’ posts were for the politically extremely reliable, hardened communist party members. Even a staff physicist as Angela Merkel had to deliver in marxist-leninist theory to gain a postdoc position. Often department leaders had close ties to the Ministry for State Security (>>Stasi) and typically were party members. The Institute for Cardiovascular Diagnostics at the Charité, where Klopp claims to have had a senior position (Oberarzt) as well at the then-Institute for Microcirculation were interlinked with the Zentralinstitut fuer Herz-Kreislauf-Forschung (ZIHK) in Berlin-Buch. The latter was known for strong party- and Stasi-connections. The ZIHK was famous, amongst other things, for employing the son of Stasi minister Erich Mielke, Major Frank Mielke, as a “scientist”. Klopp’s “Publications” page has numerous ZIHK monographs, indicating intense cooperation. 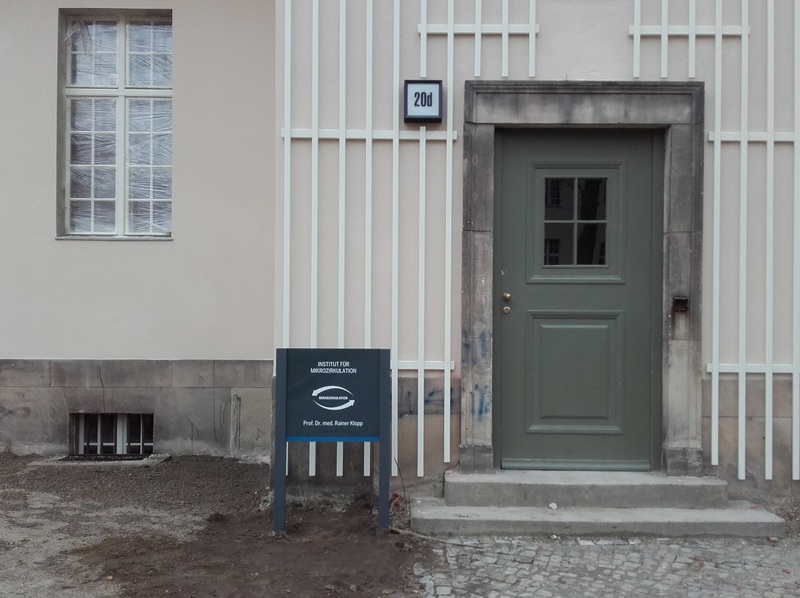 The ZIHK was located, as it happens, at the Campus Berlin-Buch, Robert-Rössle-Str.10 – just the adress were Klopp’s “institute” now evaporated. In 1991/1992 those leading doctors who were fired – or expected to be fired soon – often founded own companies or “institutes”. 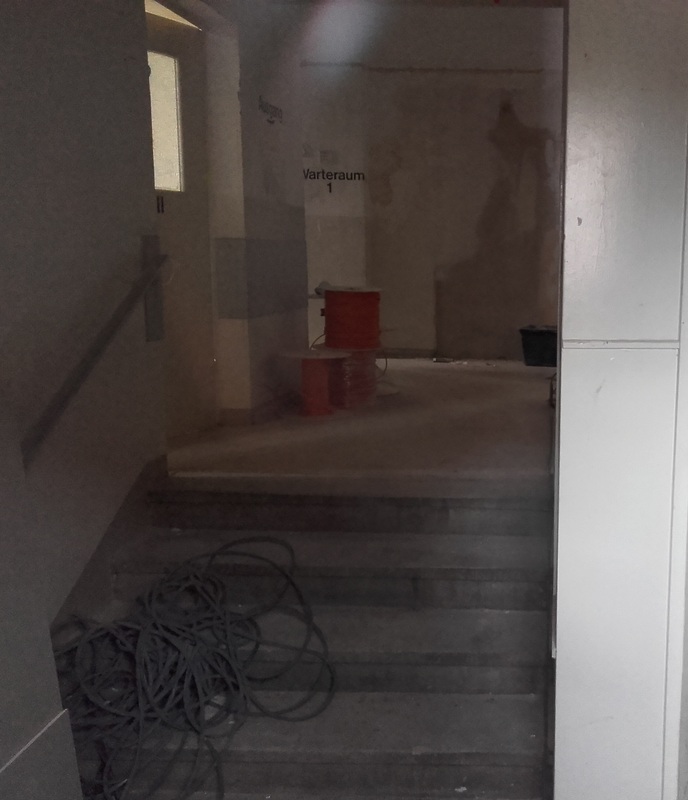 This is the background of the “Institute for Microcirculation”, which had no future at the Humboldt university. Nothing could differ more from the US picture with Stanford, millions of dollars, and scientific merits. 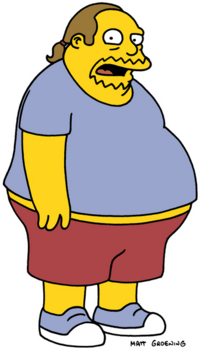 The scientific community in Germany, as well as now in Finland, merely has a humoristic approach to Klopp’s “research”, if any. BEMER International attempts to change this by spending big money for congresses and marketing stunts. It’s natural that some fall for it. 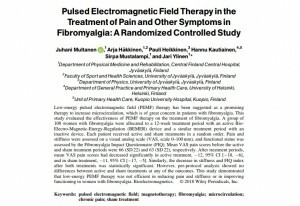 In the study, 108 patients with fibromyalgia diagnosis according to American College of Rheumatology’s (ACR) criteria were randomized to active (N=57) and sham treatment (N=51). They used the BEMER devices as advised in manufacturer instructions for 12 weeks. Then the groups crossed over, meaning that every participant had active and sham treatment at some time. There was exactly no difference between sham and real BEMER treatment at the end of these periods. The study was adequately powered to find even small differences between sham and active application. Thus, it strongly refutes earlier results from the much smaller trials, which seemed to hint at an effect. Furthermore, the authors comprehensively explain why there is no effect: The magnetic field is far too weak to affect human physiology or microcirculation. 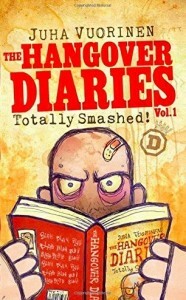 Therefore, it’s unlikely that this kind of “therapy” will have anything else than a placebo effect also in other uses. 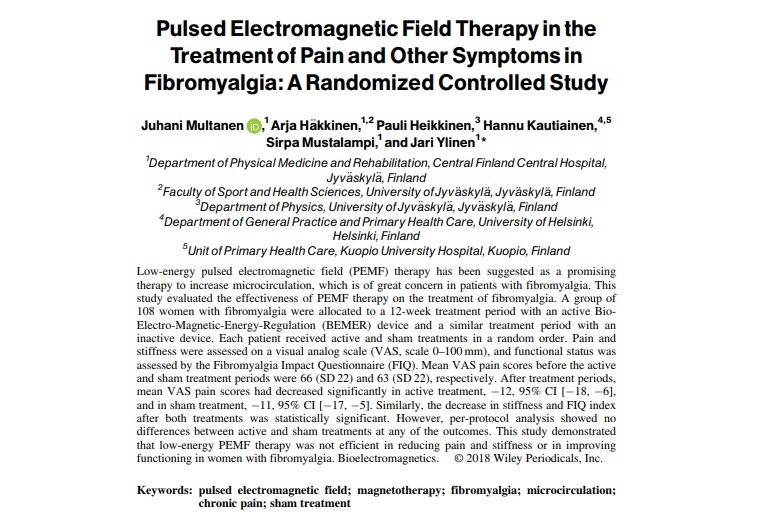 Because it is an important study, and it was financed by public funds from finnish tax payers like me, I make the full text article available here. Objections be directed at earlightswindle@gmail.com. My fruitless search for the “Institute for Microcirculation”, where the BEMER method was developed. 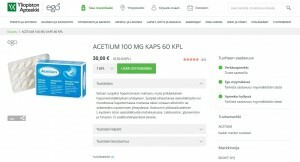 Last autumn I came across a deceptive piece praising Valkee and its HumanCharger at goodnewsfinland.com (part of Finpro, a state-run agency). I complained to the editors about the fake news they spread, prompting them to delete most of the misinformation from the text. 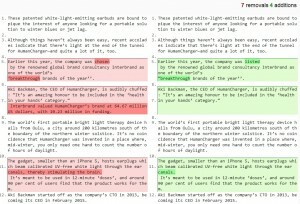 It took several weeks, and there is no mention of the changes in the article. 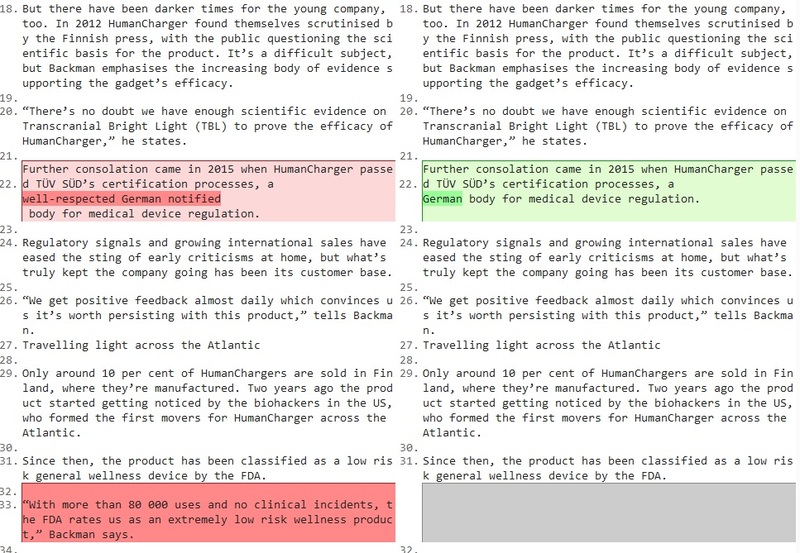 The diff is documented here, as a perfect example of how Valkee deceives others, which in turn deceive people about the HumanCharger. The Interbrand report of 2017’s “breakthrough brands” was a marketing stunt for the HumanCharger. In the small print, the report admits that companies could submit themselves and their stories were not challenged (p. 61 in the PDF). 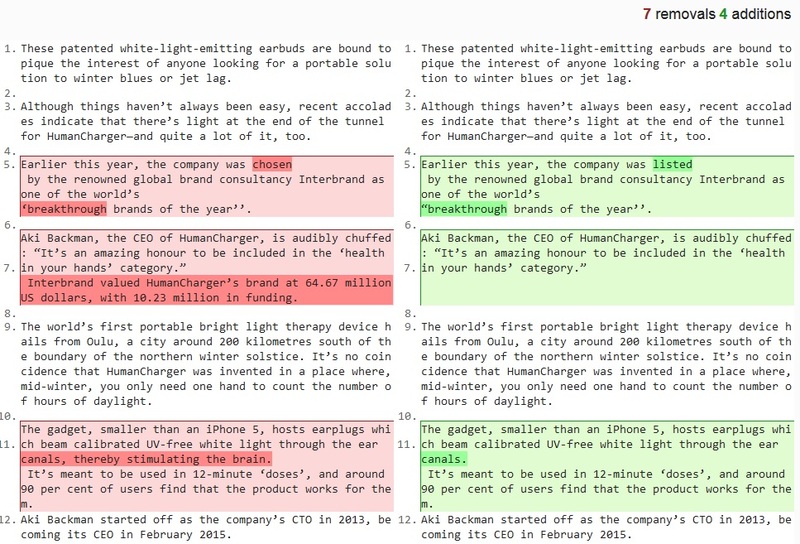 An embarrassing glitch for Interbrand: They faithfully listed what Valkee said, although the company should not be even in there. 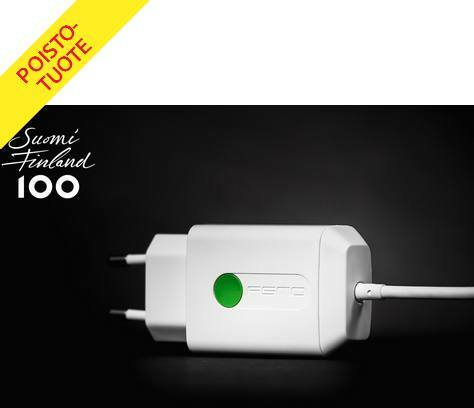 The limit for inclusion was 10 years in business and the HumanCharger company was already older than 10 years – it was founded in February 2007, and the product is even older. Then it gets absurd: Interbrand has never “valued HumanCharger’s brand at 64,67 million”. 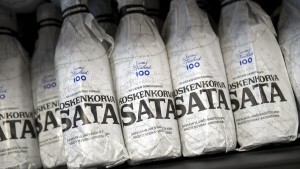 Impossible – it’s a known scam, and as such, a toxic brand in Finland and most of Europe. The 65 million was, back in 2013, the valuation, i.e. investors paid ~10 million for a 16% stake, which put the whole company in theory at 65 million. This is fairly outdated. Valkee lost its share capital and is now worth Zero. That the earlight does not work by “stimulating the brain” is clear, at least to everybody who had ever to do with neuroscience. Silently deleted. The name of the notified body or its claimed image doesn’t tell anything about the earlight. It just looks better, when it’s in Germany. Changed. 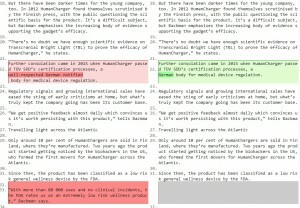 Valkee’s CEO Aki Backman then claimed that the FDA somehow testified that HumanCharger is harmless. That’s a breathtaking misrepresentation. In reality, they could not provide evidence for the device’s health claims. Therefore it got no approval as a medical device, but fell in the underclass “General wellness” category. As such, the device cannot give any kind of (light) therapy despite misleading advertisements. Deleted. 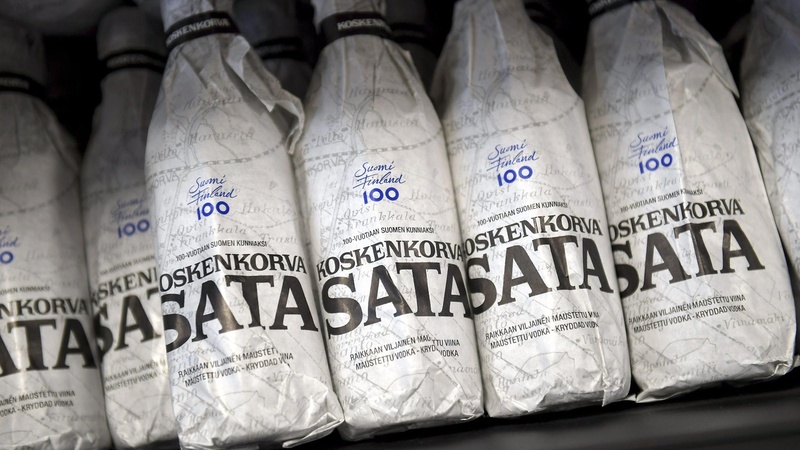 The aging scam company meets the tight finnish criteria for a micro-business and is therefore exempt from certain standards in financial reporting. The firm uses this in its balances and managed to survive to this day – being technically bancrupt – as detailed in its 2/2017 balance. A mysterious person has recently pumped millions of private funds into Valkee, to keep it alive. Earlightswindle.com makes the balances traditionally available to the public. Here it is. The tax haven-registered BEMER international AG sells controversial magnet therapy devices globally. Not recognized by medical science, BEMER cites research by an Institute for Microcirculation in Berlin (german: Institut für Mikrozirkulation) as proof for their devices’ effects. 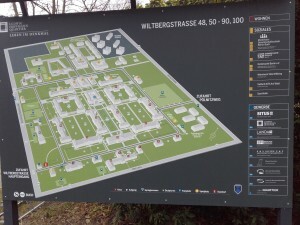 During my last visit to Berlin, I decided to find out if that obscure facility really exists. 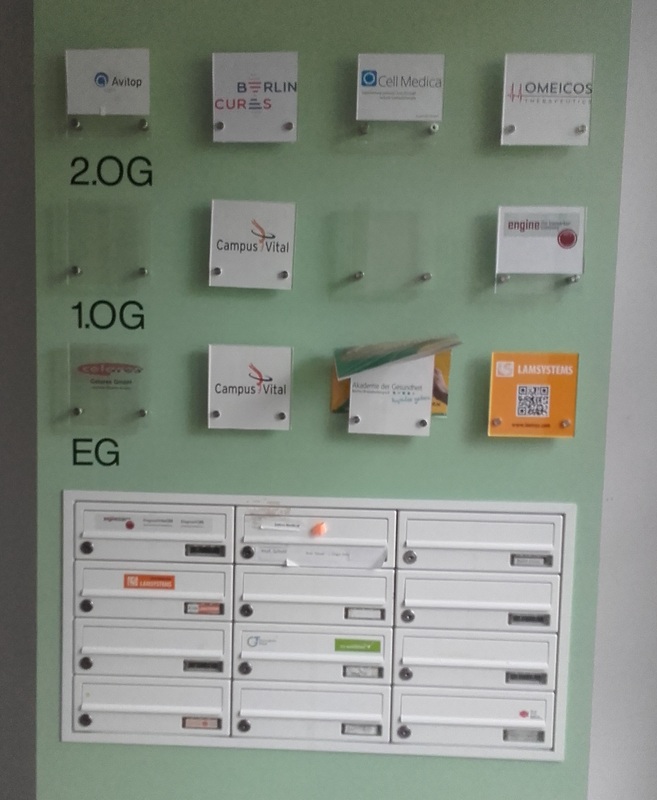 The institute is not in the phone book or any other address- or business directory. It’s not in the trade register, i.e. it is not a registered company. It’s not a registered trademark. 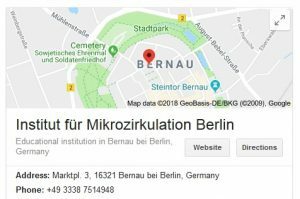 The only hint we have is the institute’s website, which it maintains since 2014, first under institut-mikrozirkulation.de (defunct) and later as institute-microcirculation.com. The physical address mentioned there is the same as in their last regular paper, which dates back to 2013. Note that the name has a spelling error (Reiner). The address is also false, there is no Erwin-Negelein-Haus in Bernau. However, there is an Erwin-Negelein-Haus at the Forschungscampus Berlin-Buch, Robert-Rössle-Str. 10. The website tells us the institute’s research lab is situated at this address, and so I started there. 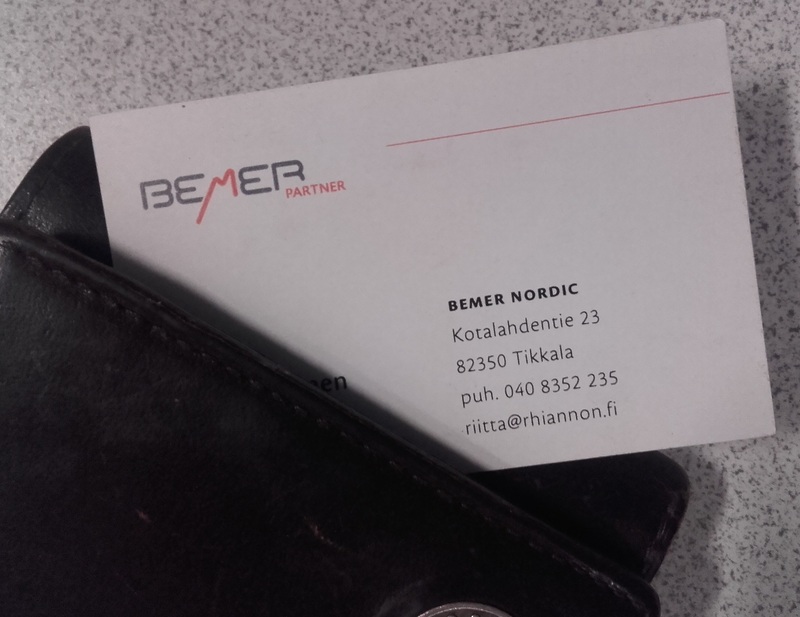 Armed with a BEMER business card I grabbed somewhere, I would pose as a churnalist, an idiot-level healthcare professional, or an interested reseller – just in case there’d be a real facility with real people. The campus gatekeeper had never heard of such an institute, although he’s doing the job for several years now. Nobody had asked him so far for such an entity. 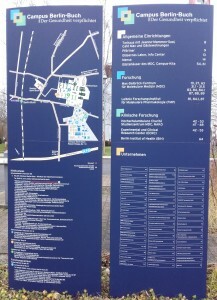 The map and site directory list neither an Institut für Mikrozirkulation nor its director, Dr. Rainer Klopp, BEMER’s key expert. 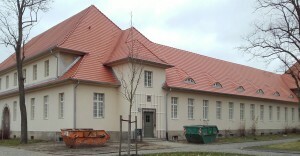 The Negelein Haus is building no. D79. There is no such institute. The guiding plate at the entrance let shimmer through the names of all former labs and offices at the spot, and there has been no mark for an Institut für Mikrozirkulation on earlier versions. The co-author of the last paper mentioned above, Prof. Schulz, was affiliated with that company. Did he lend his address to Klopp’s institute? 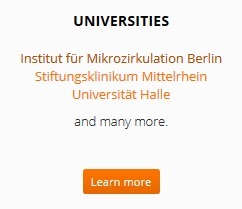 I’m looking for an Institut fuer Mikrozirkulation, which claims to have research labs here. Have you ever heard of such an institution? – Yes, that’s Dr. Klopp. It’s not here. Can you tell me where the institute is? – The address is [—]. You will find Dr. Klopp there. The institute “is” Dr. Klopp? Not that I expected anything else, but that was remarkably direct. 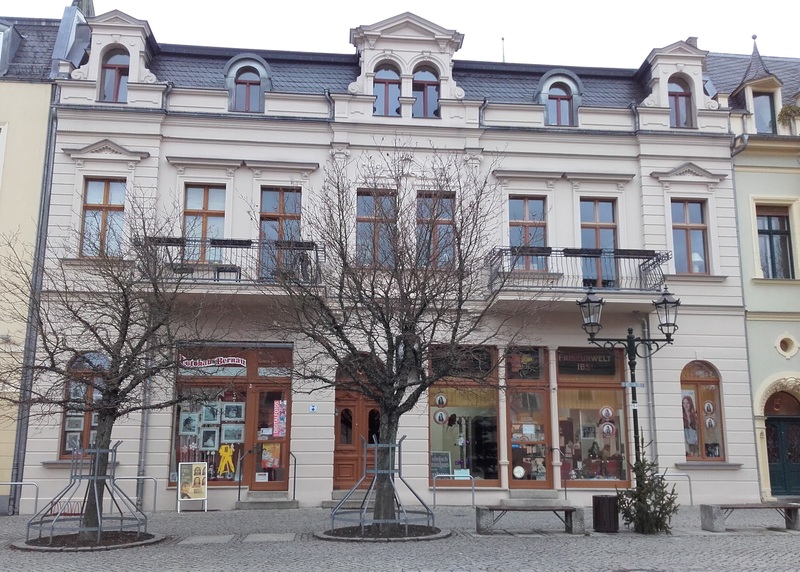 The site in question is at Wiltbergstr. 50, a kilometre from the other. It’s a 19th century hospital ensemble. At the entrance I found that map, which finally was the first hint that an Institute for Microcirculation really exists, physically. On the lower right, from the bottom, the second entry. The building was a 1,5 story pavillon, and at the back door 20d, between trash containers, there’s the sign I was searching for. There is nothing but that plate (the name here correct: Rainer). No doorbell, the lock destroyed. Inside a rubble. From the german writings on the wall, it’s a former surgery from East German time, not any institute. There’s hardly any research work ongoing, since even the electricity cables are torn from the walls. The same in the basement. All windows taped, appearingly the site is completely empty. No institute here. Possibly here are premises under construction, but there’s no Institute for Microcirculation or any related research facilities at the given addresses. 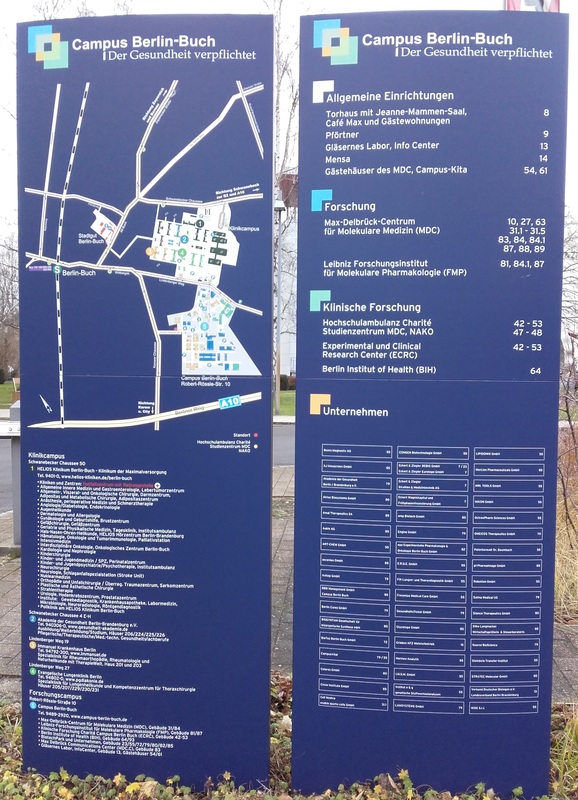 In late 2017, however, a new address appeared on the “institute’s” website: the management would be at Marktplatz 3, Bernau bei Berlin. Bernau is a small town about 15km away, just beyond Berlin’s city limits. 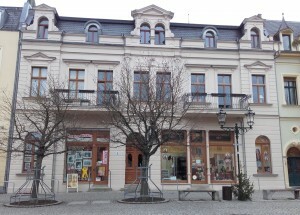 Marktplatz is the central town square. It is quite small in this case, with only a handful of buildings. No. 3 looks this way. There is a barber and a photographer downstairs. A local construction firm informs at its website, that the former offices in that house were turned into apartments. There is no institute here, but the bell sign tells us who lives here. 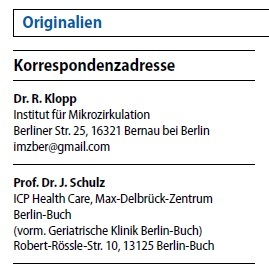 It’s Dr. Klopp, the “director” of the “institute” which should only be written in quotation marks from now on. 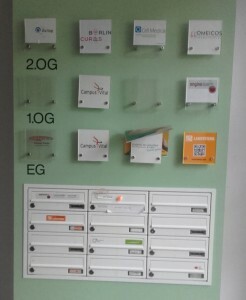 The “Institute for Microcirculation” is a virtual entity. There is no such research facility at any of its claimed addresses, and there’s little reason to assume that it has ever been. The “institute’s” management resides at the apartment of its director, Dr. Rainer Klopp. Dr. Klopp seems to be the “institute” in person. 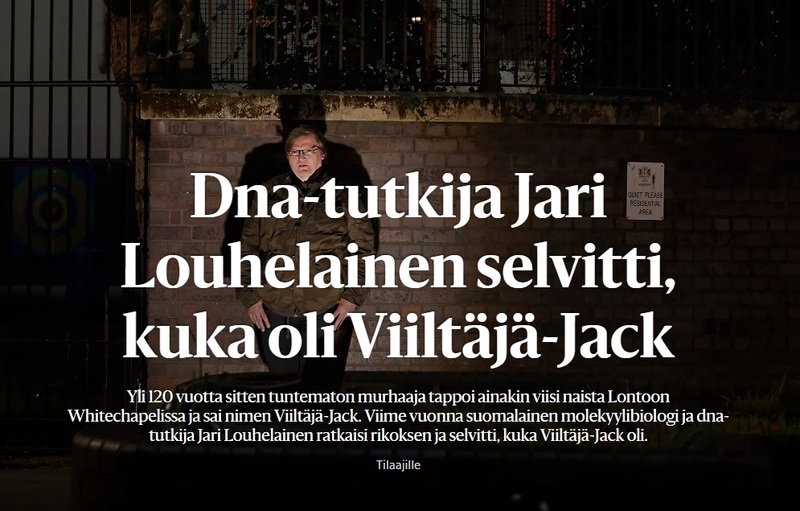 Tämä oli nopea: YLE Uutiset on oikaissut jutunsa, jossa toistuvasti väitettiin suomalaisen Jari Louhelainen paljastaneen Jack the Ripper, eli nk. 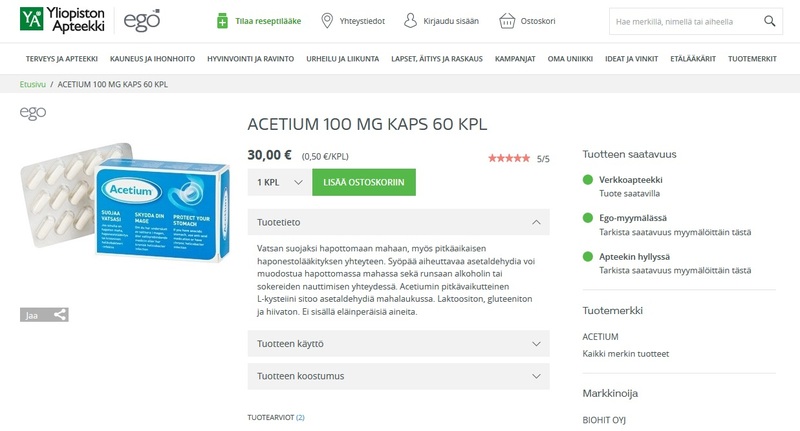 Viiltäjä-Jackin. Pari päivää sitten kirjoitin tästä ankasta, joka elää yhä Suomen mediassa, vaikka kyseessä on huijaus. 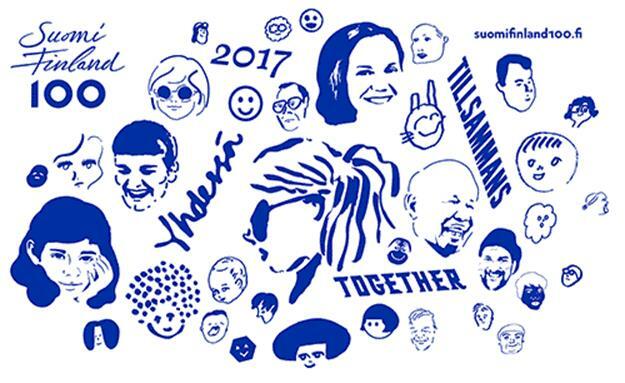 Helsingin Sanomat teki 2015 vielä laajan jutun tästä valeuutisesta. 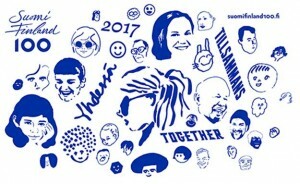 Suomen Kuvalehden Marko Hamilo syyllistyi jopa vuosi sitten, Syyskuussa 2016, Louhelaisen perättömien väitteiden siunaamiseen. 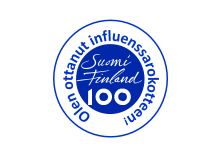 Louhelainen on puolustautunut salaliittoteorioilla. 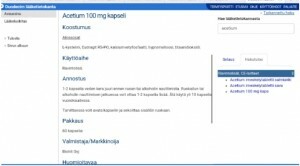 Hän olisi astunut monien Lontoolaisten varpaiden päälle, koska Viiltäjä-Jackin arvoitus oli heille hyvä rahalähde. 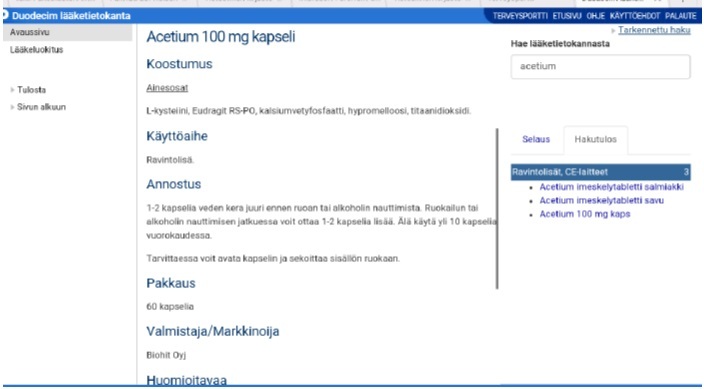 Sellaista epäasiallista puhetta pitäisi aina olla hälytysmerkki. 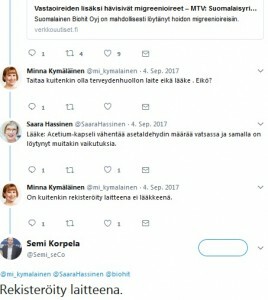 Todellisuudessa Louhelainen rahasti huijauksellaan. 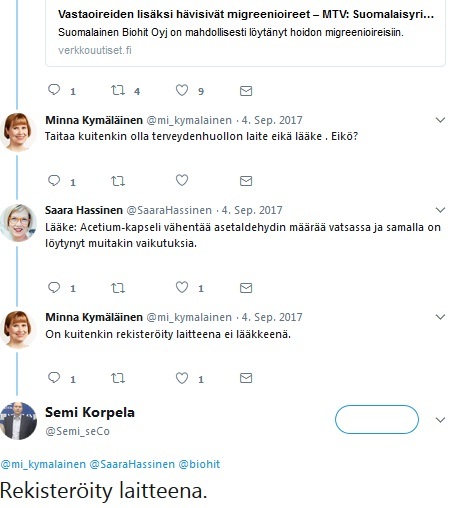 Kritiikki oli tullut ympäri maailma, Itävallasta, Australiasta, Ruotsista, jne.